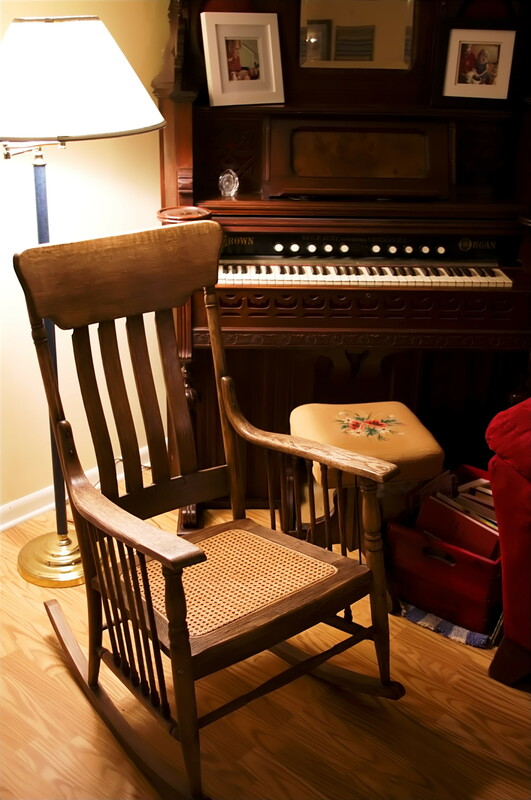 This entry was posted in Photography and tagged family, postaday, pump organ, treasure, weekly photo challenge: treasure, wooden rocker by Chuck Spindler. Bookmark the permalink. One of my wife’s family heirlooms is a Beckwith pump organ that belonged to her great-grandparents on her father’s side. Mine still works, though the bellows don’t work as well as they formerly did. Thanks for stopping by William. Loved your treasures! May we all focus on storing up treasures in heaven rather than the temporary treasures here on earth and may the Lord be glorified. Be blessed today and find a way to bless someone else! Thank you for your kind words, Shelly. Always great to hear from others on the journey! I identified with your blog “Send Someone Else” as I have pursued His calling. However, I have found “He who calls you is faithful, who also will do it.” 1 Thessalonians 5:24. Good bless! 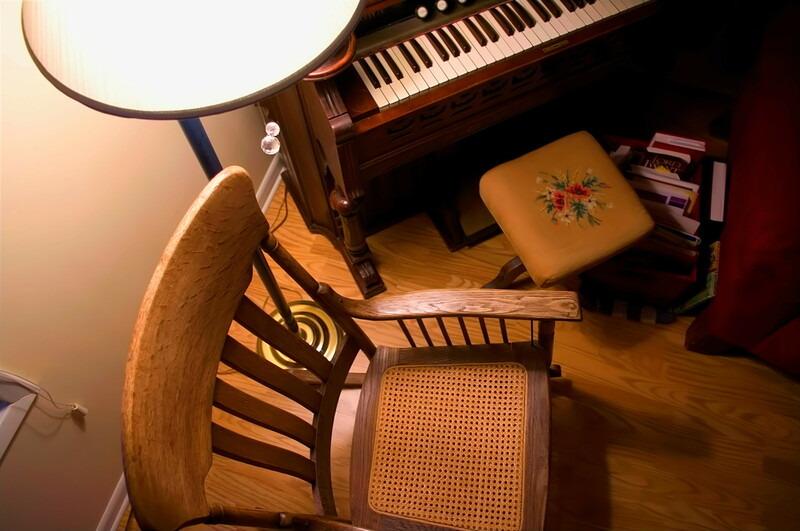 My great Aunt used to practice for church on her pump organ we had in the home. Great photos and really brought back memories to me because they sold it after she passed when I was about 8. These certainly are treasures! Thanks! Glad it brought back some memories. Enjoyed your moon pics. I like the challenge of getting good nighttime shots.